Human Resource Machine for Linux is now available! 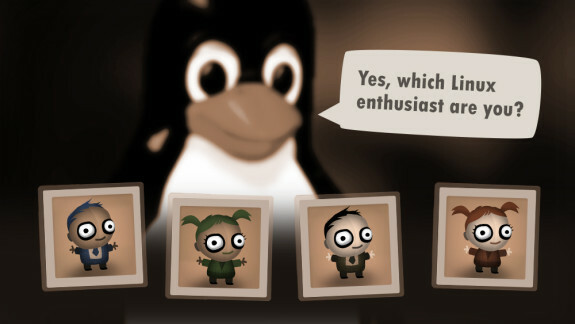 Thanks to the efforts of our porting team, Linux players can now access a native version of Human Resource Machine. If you previously bought the Windows or Mac version, you should now automatically (and freely) have access to the Linux version as well. To get it, just follow the same download link you used to download your Windows or Mac version. If need to retrieve your download link, you can do so here. You can also get the Linux version on Steam and the Humble Store. As a thank you to Linux users, we’re putting HRM on sale for 20% off for a limited time starting later this week. Happy programming, everyone! Awesome news! Buying a copy now! Great work, works well on Debian 8.3 (Jessie stable). Nice that it can be installed from a non-root account. Takes me back to the days of hand-optimizing 8-bit assembler code, lots of fun! I’ve been having fun so far, but I think I have abused loop unrolling in some puzzles! I have yet to get all the optimization goals, some are them are pretty hard! Thank you for making penguins happy! I’ve just installed on my Intel Centrino M 1.6 GHz under Debian Jessie 32 bit. The program refuses to run due to “ilegal instruction”. Which is the minimum proccessor to run this game? Just tried it on Ubuntu 16.04 and it hangs/freezes on loading level 7 (Zero exterminator). Any chances for fixing it? It’s nice to be appreciated! I only just now heard about your game, but am excited about it. Thanks for the Linux port. Bought it for my son. Now he’s playing this next to Minecraft on Ubuntu 🙂 Thanks!